Facebook on Tuesday debuted a step-by-step online guide aimed at helping small businesses use the social networking site. The company is billing the new webpage, found at Facebook .com/business, as an "online education centre" that gives directions on such things as how to set up a profile page, create targeted ads and deals, and interact with customer feedback online. The timing is interesting, as it comes just a week after Google began shutting off all company profiles on its Google + social network. The search engine giant says it's just company policy to restrict Google+ access to individual users, a stance that has inspired a good deal of controversy in recent days. Facebook's new business webpage does not come along with any new features, it simply puts a lot of information that may be handy for small businesses in one place. Perhaps most importantly, it serves as a nicely timed reminder that unlike Google+, Facebook encourages companies to use its service for company branding. "Facebook allows small businesses to create rich social experiences, build lasting relationships and amplify the most powerful type of marketing, word of mouth," a Facebook spokesperson wrote in an email. 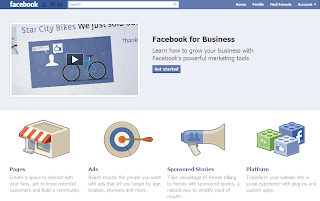 "We created Facebook.com/business to make it even easier for people to reach these objectives and grow." This represents the second time in a month that Facebook has followed Google+ news with its own feature launch. Earlier in July, Facebook announced a partnership with Skype to bring video chat features within the social networking site, just one week after Google+ made waves with its own in-app video chat feature called Hangouts. The timing of these events could certainly be coincidental, but it does look like Facebook is taking Google's recent entry into the social networking landscape seriously, and is increasing its feature updates and user satisfaction initiatives in turn. The new competition may be stressful for Zuckerberg and company, but ultimately it's great for consumers if both Google and Facebook continue to bring their A-games. The new webpage, found at http://facebook.com/business, gives directions on how to set up a profile page, create targeted ads and deals, and interact with customer feedback online. The timing is interesting, as it comes just a week after Google began shutting off all company profiles on Google+. This represents the second time in a month that Facebook has followed Google+ news with its own feature launch. to send offline gifts to their friends and families in U.S. but it doesn’t allow sending gifts to users in India. In order to use the service, the user should have a contact based in the US on Facebook, according to the reports of MediaNama. The option “Give Gift” is located at the top of the Facebook profile. It offers various categories like food, wine, apartment, bar, flowers, baby/kids and the like. Once a category is chosen, a digital card should be selected where the sender can personalize it with a message which is then forwarded to the payment gateway. Currently, only credit cards work as a payment mode. Once the gift is sent, the recipient will receive an email as well as a notification on Facebook. Clicking on the particular notification leads them to view the gift and read the card. The users have the option of posting the gift on the recipient’s profile. For this service, users don’t require the recipient’s address. Facebook asks the recipient for the address for the delivery of the gift. Shipping cost depends on the price of the gift and most gifts are shipped within a day and might take 3 to 5 business days. The service allows a preview of the gift for the recipient. Recipients are free to swap the gift for an item of equal or lesser value. The service can turn out to be a boon to the Indian eCommerce sites and even competes with online gifting services. Recently, Flipkart started accepting International credit cards allowing international users to send gifts to friends and family in India. and it may soon turn into a grave one if not curbed at the right time. Let’s take a look at few measures that’ll help you out in the long run! Do you sit on a social media site like Facebook, Twitter, etc. endlessly at a stretch of 4-6 hours refreshing the page over and over again? Do you have no idea why you indulge in that meaningless task for hours without anything productive coming out of it? Beware; you’re slowly turning into a social media addict. The first step is to understand the issue and its magnitude. Has something that has occurred on the medium affected you gravely at an emotional level? Have you been pondering over a certain altercation that went down between you and an accomplice on a site which has disrupted your thought pattern? These tend to be the symptoms that point towards social media addiction. Having it affect your day-to-day life reaffirms the impact it is causing over your thinking. The first step towards bringing the addiction to a halt is to keep a tab on the amount of time you spend on the sites. Usually addiction is detected when your surfing time starts eating into your work-time or family-time. To avoid that, dedicate a specific time-span that you’d spend on the social networking site on a daily basis. Going ‘Cold Turkey’ and completely shutting out social media networking may not work well and may backfire. To avoid that, set up a timetable and stick to it! The next step would be to create an equally captivating distraction for yourself, so that you deviate your mind from social media. Pick up a new hobby; revive a hobby that you once cheerfully cherished. Dedicate some of your networking time to it and go ahead. This’ll help you in keeping your mind busy and focused towards something useful and productive and will also assist in slowly easing you out of the social media addiction. Never prioritize social media over anything else. Social media has to be the lowest on the priority list. The minute you start prioritizing social media over your job, your family, or your personal health, things start turning ugly. Avoid that. Social media is only a source of entertainment and should be done in your leisure time. If you have the Facebook Like box embedded in your website, the good news is that the plugin should have little impact on the performance, or page speed, of your pages. Stoyan Stefanov of the Facebook engineering team shares that the updated Like box is 2-4x faster and is considerably lighter than the previous version. The Facebook Like plugin now loads in 0.5 seconds, as opposed to 2.3 seconds and while the previous version was 245KB in size, it now weighs a mere 46KB. Facebook improved the performance of the plugin by switching to inline CSS styles (as opposed to using external stylesheets) and by squeezing multiple scripts into one – the plugin thus has to make fewer web requests. How do you get the faster Facebook Like box for your website? First, does the Facebook embed code on your website look anything like this? If your embed codes are different, you are covered as Facebook will automatically serve you the improved Like box. Else, you are using the older /deprecated version of the Facebook Like box so head over to developers.facebook.com and generate the new embed codes. The online population of India literally lives inside social networks, as it is revealed that more than 25 percent of the total online Indian minutes were spend on social networking activities. Indians are also fond of Google sites as it turned out to be the destination of more than 95 percent of them. The findings came out on a latest report from ComScore on top online sites and activities in India. Google stand as the most popular site in the country followed by Facebook and then Yahoo sites. Microsoft sites have finished in the fourth position. Adding to it, many local websites secured spot in the top 10 ranks. Considering the engagement in websites, the difference was huge between the best of local brands and the topper, Facebook. People spent an average of four hours on Facebook in June whereas Network 18, the local leader engaged people for an average 31.6 minutes during the month. The Google sites, including YouTube had visitors spending an average of 2.5 hours. In India, social networks have turned to be the primer driver of daily digital Media Consumption followed by the entertainment sites. The time spent on online retail shops in the country grew 0.5 percent as the trend is gaining momentum within the country. If you deactivate your account from your Security Settings page, your profile (timeline) and all information associated with it disappears from the Facebook service immediately. People on Facebook will not be able to search for you or view any of your information. In case you want to come back to Facebook at some point, we save your profile (timeline) information (friends, photos, interests, etc.) so that your account will look just the way it did when you left. A lot of people deactivate their accounts for temporary reasons and expect their profiles (timelines) to be there when they return to the service. After deleting your account, you have to wait 14 days to complete the process. if you login your Facebook within 14 days it will be reinstated. Click on "Deactivate your account"
When you deactivate your account, your profile (timeline) and all information associated with it disappears from the Facebook service immediately. People on Facebook will not be able to search for you or view any of your information. If you’d like to come back to Facebook anytime after you’ve deactivated your account, you can reactivate your account by logging in with your email and password. Your profile (timeline) will be restored in its entirety (friends, photos, interests, etc.). Remember that you will need to have access to the login email address for your account in order to reactivate it. Your photo on social networking sites tells viewers what they need to know to form an impression about you - no words are necessary, new research suggests. College students who viewed a Facebook photo of a fellow student having fun with friends rated that person as extraverted (being concerned with the social and physical environment) -- even if his profile said he was "not a big people-person". "Photos seem to be the primary way we make impressions of people on social networking sites," said Brandon Van Der Heide, assistant professor of communication at Ohio State University, who led the study, the Journal of Communication reports. The exception is when a photo is out of the ordinary or shows someone in a negative light. In that case, people do use profile text to help interpret what kind of person is shown in the profile, according to an Ohio statement. "People will accept a positive photo of you as showing how you really are. But if the photo is odd or negative in any way, people want to find out more before forming an impression," he said. Van Der Heide conducted the study with Jonathan D'Angelo and Erin Schumaker, graduate students in communication at Ohio State University. The researchers conducted two studies. In the study, 195 college students viewed a mock Facebook profile of a person who was supposedly a fellow student. The profile included a photo and a written "about me" statement. The participants were asked to rate how extraverted they thought the student in the profile was, on a scale of 1 (least extraverted) to 7 (most extraverted) based on the photo and text. The participants viewed one of four profiles: in one, both the photo (a person shown socializing with friends) and the text ("I'm happiest hanging out with a big group of friends") suggested an extrovert. A second profile had both a photo (a person alone on a park bench) and text ("I'm happiest curled up in my room with a good book") that suggested an introvert. The other two profiles were mixed, with the photo suggesting an extravert and the text an introvert, and vice versa. The question the researchers wanted to answer was which mattered more - the photo or the text - in deciding whether the person was an extrovert or an introvert. Results showed the photo was generally most important, Van Der Heide said. Facebook today unveils Timeline for pages — a combination of design elements and moderation features that give organizations the controls they need to maintain an effective presence on the social network. The redesign, the largest for pages since February 2011, creates a more unified look and feel for the site after profiles and groups were updated earlier this year. Page owners will have a 30-day window to redesign their pages and publish when they are ready. On March 31, all pages will automatically switch to the new format. The layout featuring a cover photo and larger stories in an easy to navigate chronology is similar to Timeline for personal profiles. What differs is the ability to pin a post to the top of a page and a friend activity box that makes pages more relevant to each user. Page tabs still function, but there is no longer an option to set a third-party tab as default. A new admin panel, activity log and direct message feature will help page owners manage their communities. We had a chance to preview the new pages and will review key features below. In lieu of a unique landing tab, pages have a 851×351 pixel photo to convey a brand message. However, Facebook wants to keep cover photos from looking like banner ads so images cannot include price or purchase information, contact info, calls to action or references to Facebook features such as Like or Share. Page owners might be frustrated by this but we can see why Facebook would do it. Most users won’t understand what aspects of a page are done by third-parties versus done by Facebook. 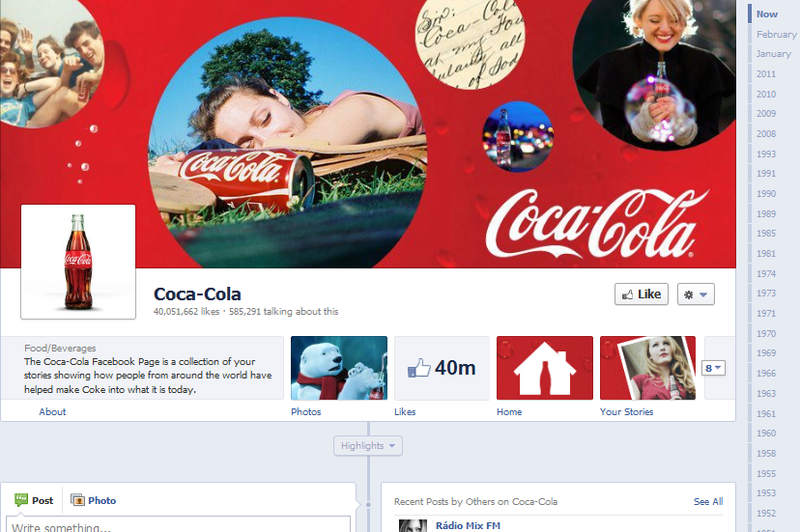 If pages use cover photos like advertisements, many users could confuse them for actual ads and get frustrated with the social network. Page owners can now add milestones and choose to feature posts larger than others, similar to what users can do with life events on Timeline (see image below). Pages can also hide individual posts without deleting them. This allows pages to display only its most engaging posts without losing important data. Another new feature is one page owners have long asked for: the option to pin an important post to the top of the page. Pinned posts can stay for up to seven days. Unlike on Twitter, pinned posts are available to all page, not just premium advertisers. A new management tool appears at the top of pages a person has admin rights to. It gives a snapshot of insights, people who recently Liked the page, fan activity notifications and a message inbox. Similar to a feature we saw tested in December 2011, pages can now accept direct messages from users. This allows customer service issues and other sensitive matters to be discussed privately instead of on the wall. Pages cannot initiate direct messages with fans. The admin panel also includes Help Center items like “Request a name change for your page,” prompts to create ads and other tips for page owners. Like on personal profiles, the activity log is useful for finding and editing old posts. Admins can sort items by year or type of story. The activity log is only visible to users who have admin rights to the page. From screenshots we’ve seen, insights for each post are not shown in the activity log, but this would be a helpful addition. Page tab apps continue to function, but instead of listing apps down the left side of the page, apps are available on the right beneath the cover photo. Fewer tabs can be highlighted above a “See more” option, but all apps benefit from larger thumbnails. App images are 111×74 pixels instead of 16×16 pixel favicons like they were previously. Apps themselves can now be up to 810 pixels wide. They render on a new page underneath a header with a link back to the page, a drop-down menu with other tabs and a Like button if users don’t already. Facebook will not allow default landing tabs like before. The company recommends pages pin a post that links to a particular tab. According to cover photo guidelines, pages cannot add images that use arrows or text to direct people to visit tabs or take particular actions. The social network seems to be waning pages off of tab applications. The vision for the platform is for Facebook to be integrated into third-party websites and mobile apps, not to have applications running within page frames. But since many companies already invested in developing applications for their pages, the social network could not simply get rid of them at this stage. Facebook will allow a small number of public figures to verify their accounts beginning today, a spokesperson from the company confirms. Users with verified accounts will appear more often in “People To Subscribe To” recommendations on the site, but unlike on Twitter and Google+, there will be no visual indication that a profile is official. These users will also have the option to display their more well-known pseudonyms, if applicable. 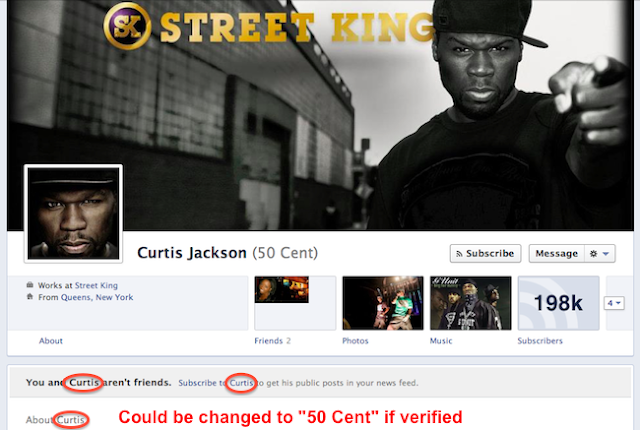 For example, Curtis Jackson could choose to go by his stage name 50 Cent across the site, instead of displaying it as an alternate name as he does now. 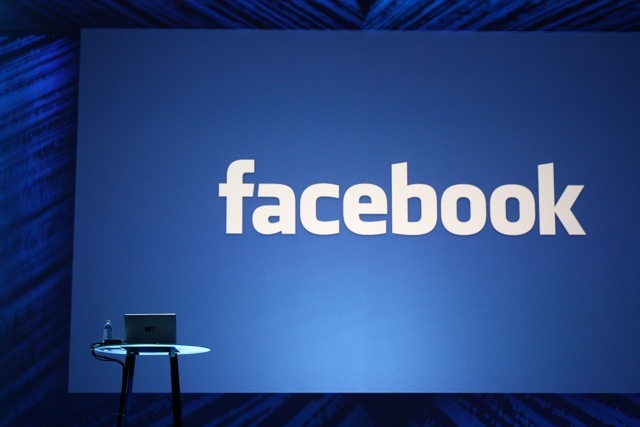 Facebook says users with a large number of subscribers will see a notification to verify their accounts. Not everyone who allows subscribers will see this option, and for now, users cannot request to be verified. The feature will start as invite-only, allowing public figures (in the beginning, only users with high subscriber counts will be invited) to change their account to verified status. Once the account is verified, it will appear more frequently in the “people to subscribe to” list. Twitter launched verified accounts back in 2009, and Google+ launched a similar feature shortly after launch. However, unlike Twitter’s version of this feature, Facebook won’t display any sort of badge on verified accounts – a somewhat odd decision, since having a way to distinguish the real person from impostors is precisely why this feature is useful to most users. Instead, verified users will have the option to display a nickname (Facebook normally requires all users to use their real name) instead of a real name, or have their real name places in parentheses. "To verify your account, you’ll have to send Facebook an image of a government-issued photo ID, or a combination of two alternate IDs (such as birth certificate and credit card). While this will certainly make some users uneasy, Facebook promises to delete this data after verification." Angry Birds fans have a special gift this Valentine's Day — the wildly popular pig-flying game made its official debut on Facebook. The Facebook app is similar to the original mobile version, with the addition of social components, brand new power-ups, and exclusive new levels. The added social aspect allows players to compete with their Facebook friends for gold, silver, and bronze crowns in any level. Players can also brag about their scores on the social network and give their Facebook friends "mystery gifts" of power-ups. The Facebook version includes four new power-ups, including "sling scope" (for better targeting), "king sling" (for more power and velocity), "super seeds" (to super-size your bird, turning it into a ""pig popping giant), and "birdquake" (to shake the battlefield and bring down pigs' defenses). Besides being gifted with power-ups, players can earn them through game play or purchase them. And — even better — anyone who plays the game between now and Feb. 16 will receive 14 free power-ups as a special Valentine's Day gift from Angry Birds developer Rovio. 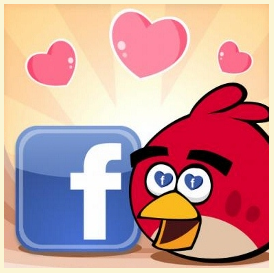 Rovio said it is lining up even more features and gameplay for the Facebook version of the game in the coming weeks. "This launch is just the beginning for Angry Birds on Facebook," Petri Järvilehto, Rovio's senior vice president of game publishing, said in a statement. The mobile version of Angry Birds has garnered more than 700 million downloads to date, making it one of the most popular games in history. Ever wonder where the biggest inventions started out, and by whom? 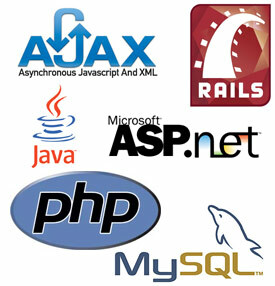 Here is a list of programming languages, and frameworks that are behind some of the greatest technologies. 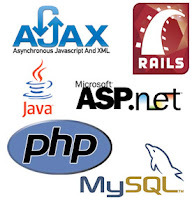 This social networking site, which is the largest in the world, uses the PHP hypertext processor that is used for server-side scripting. Mark Zuckerberg wrote the site’s code and launched then named Thefacebook in 2004, when he was still a student at Harvard. His idea for Thefacebook came from his first attempt in late 2003, named Facemash. Facemash was later shut down by the universities’ administration. Reid Hoffman, an employee at Paypal left to start this social networking site and was joined by Chris Saccheri and Lee Hower. 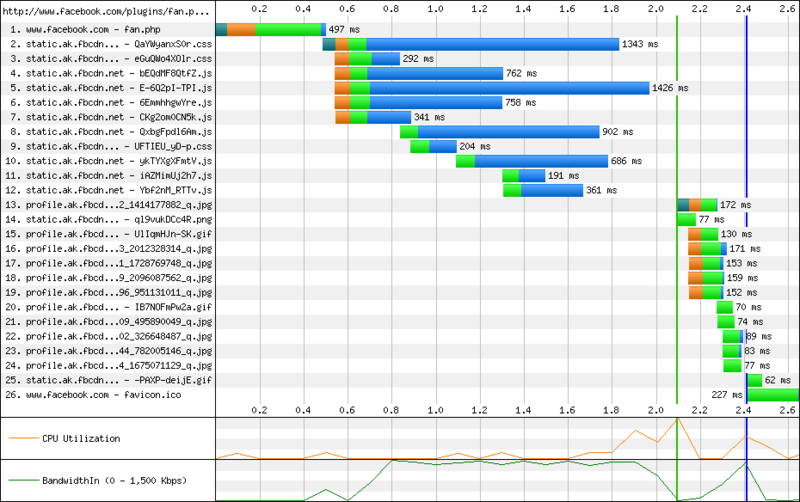 The front end of this site is built on Java, and C++ helps take care of a few of its in-memory caches. 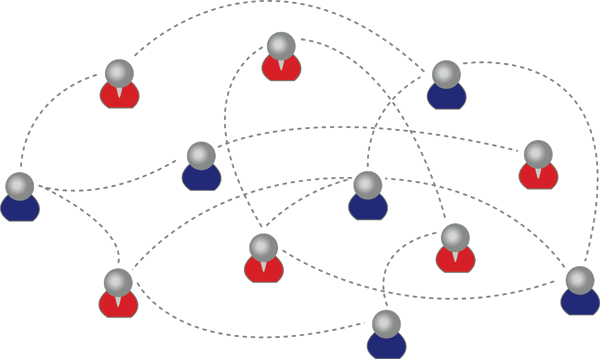 The site allows users to connect via a “gated-access approach” which requires professionals on the site to have a pre-existing relationship, or the intervention of a common contact to connect. The site meant for professionals became popular very quickly, as a result of its strictly vocational interests, and went public last year. This smooth operating system is used on the iPod Touch, iPhone, iPad and other Apple devices that have a touch-based interface. It is a derived operating system that is based on the Mac OSX. Both Mac OSX and the iOS have their roots in the Darwin operating system which was developed on UNIX predominantly by Apple, but also had contributions from NeXTSTEP, BSD, and other free software projects. This OS which is popularly used on smartphones, and tablets, is a Linux-based system that was developed by Andy Rubin and Rich Miner along with Nick Sears and Chris White in 2003. Their vision, according to Rubin, was to develop “smarter mobile devices that are more aware of its owner's location and preferences”. Development for the OS is now undertaken by the Open Handset Alliance which is piloted by Google. WiFi is the brand name used for products that comply with the IEEE 802.11 family of standards. Vic Hayes, who developed a number of primary standards within the IEEE is known as the “Father of WiFi”. Since 2000, the internet was made available anywhere and at anytime because of the widespread use of this technology. This mechanism which allowed devices to exchange data wirelessly changed the face of technology and allowed laptops to become more popular than even desktop computers. This Unix-like OS was initiated by Linus Torvalds in an attempt to build a portable operating system that was similar to the MINIX system. Since the scope of the MINIX system was limited to educational use, Linus started working on the kernel of the Linux system in 1991, and has contributed to about 2 percent of the entire system. The Linux system is built on the free and open source software development model and Torvalds retains the rights to determine which properties are retained by the kernel. Linux is one of the most preferred operating systems in the world, with a number of super- computers running on it. This programming language, developed in the 1990’s by Yukihiro Matsumoto from Japan, was inspired by the Perl and Eiffel languages, and has a couple of features from the Smalltalk OOPs. The specifications of Ruby language are developed by the Open Standards Promotion Center of the Information-Technology Promotion Agency (in Japan). Matsumoto stated that he decided to create the language because of the need for a "...language that was more powerful than Perl, and more object-oriented than Python."